Having worked in education, as a teacher, head teacher and school improvement adviser throughout my working life, I was delighted to become a foundation governor through Holy Cross Church. It is a privilege to be associated with all three schools that make up the Federation and to be part of a governing board that has such a wide range of professional knowledge and experience. I am a parent of 2 children, one who is currently at Perton Middle, the other at St Chad’s. I have been involved in Governance since 2016, prior to that I was an advisory member of St Chad’s Governors’ marketing committee. I am the SEND, Pupil Premium and Sports Premium Governor at PMS, Vice-Chair of the Governing Board and Vice-Chair of Finance and Personnel Committee. Professionally my background is in sales and marketing. I bring to the board skills in the areas of information, data analysis, understanding of legislation and compliance along with business administration and project management. Additionally I am a qualified FE teacher. My interest in Education has grown as my children have move through school system, in particular I am interested in technology, SEND provision and providing quality education for all children. I have 20 years teaching experience working in Secondary schools as an English and Drama teacher, Head of English, Head of Year and Assistant Head. I currently work in a primary school with years 5 and 6. I have previously served as a foundation governor in a different authority gaining experience serving on several different committees and assisting in navigating the school towards federating with two other schools. I have been a foundation governor at St. Chad’s, Pattingham since 2014 and more recently have become a parent governor at CCHS serving on the Perton Middle Committee. I have one daughter in year 2 at St. Chad’s and one in in year 6 at Perton Middle. I have 2 children, both in secondary education. I have a keen interest in supporting quality education. I have worked within a school environment for 16 years. I am the Supervisory Science Technician at Codsall Community High school and within a wider school context I get involved with staff wellbeing events at CCHS. I joined the Governing Body in October 2017 as a Co-opted Governor. I have lived in Newport, Shropshire since 1988. I am married and have 3 adult sons all of whom went to local schools. 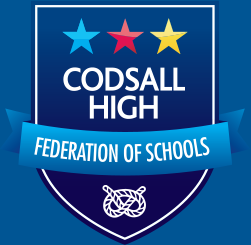 I firmly believe in the difference that good governance can make to the success of a school and I believe that my career has equipped me with a range of skills that will enable me to make a positive contribution to the life of Codsall High. Between 2006 and 2010 I was a Parent Governor at the Burton Borough School where I was the chair of the Curriculum Committee. In addition to becoming a governor at Codsall, I have also recently joined the Governing Body of Haughton School in Telford. As vicar of Holy Cross church, I have served as an ex officio foundation governor for the federation for the 4 years since I arrived, particularly serving on the Bilbrook Middle School committee. I also come in to school frequently, to take assemblies, meet with pupils and staff and support lessons. I have been a school governor for more than 15 years, across 3 local authorities, including 7 years as chair. Prior to ministry I was in education for more than 15 years, both in and out of the classroom. I am currently also governor of Lane Green First School.